Ever burned your mouth on a fresh out of the oven cookie cuz you just couldn’t wait? How about seeing that the recipe says makes 18 cookies, but you only have enough batter for 12…? I love to bake. It’s so comforting to me. When flour and sugar are your drugs of choice it can be a little dangerous. I once believed that I would never bake again. That I had no business baking. Well that’s simply not true. I just need to be super mindful about when and HOW I bake in order to keep it fun and nourishing rather than stressful and harmful. 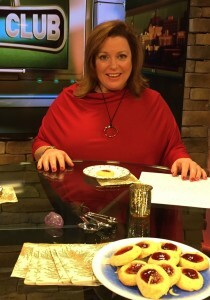 Click HERE to watch my segment on WCSH6 & WLBZ 2 with my tips to set yourself up for baking success. When the cravings kick in, recommit. Take a drink of water. Pick up the piece of amethyst and hold it against your heart. 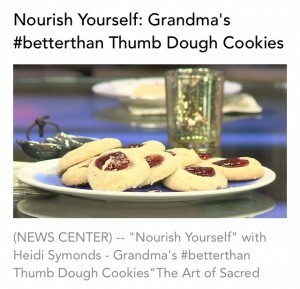 If you sneak a taste… be gentle with yourself and recommit once again. You can do this. You’re worth it. I promise.